Saturday, March 28th at 10:30pm. Tickets $5 at the door. Local comedian Matt Storrs is known for bringing his law background to the stage, especially when fact-checking other comedians’ material after their sets. 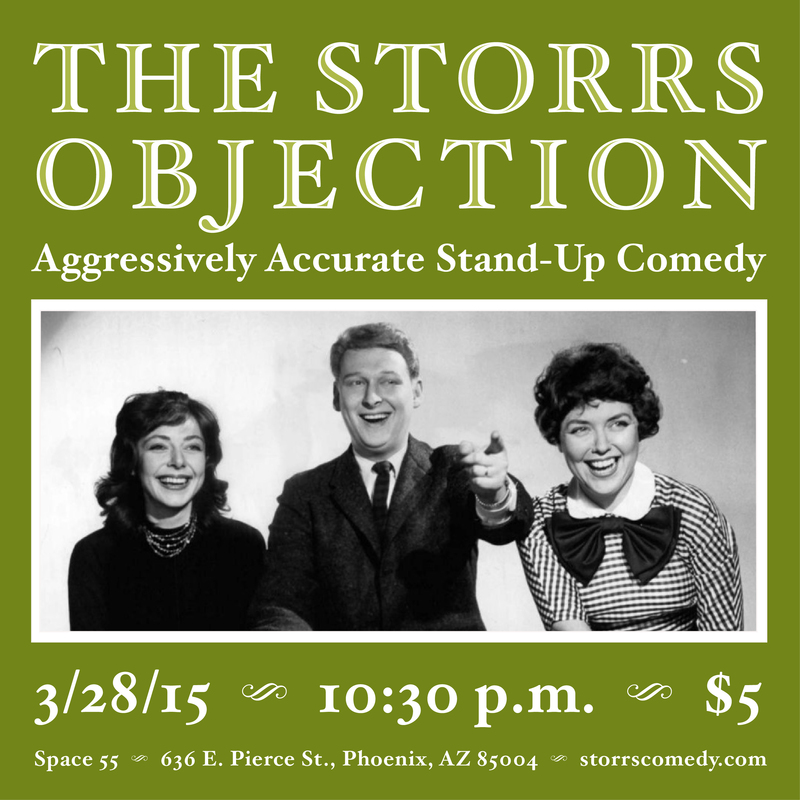 “The Storrs Objection” will now give Matt the opportunity to fact-check other comedians’ material DURING their sets. Along with The Torch Theatre’s Bill Binder, Matt Storrs will be rebutting and rebuking comedians in the middle of premise and punchline, throwing off timing and train of thought, and maybe starting a fight or two. “The Storrs Objection” is heckling with a wrecking ball. 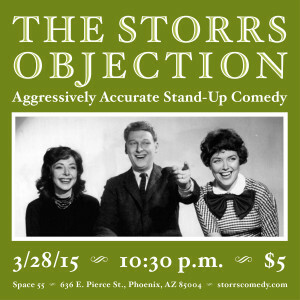 The Storrs Objection features Matt, Bill, and a different lineup of guest comedians on the fourth Saturday of each month.